Since I didn't see this anywhere online I thought I would post this. 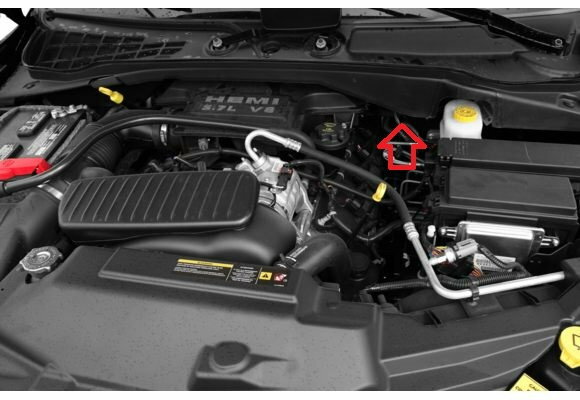 Instead of mounting this in a normal location like other 5.7 Hemi engines, Chrysler put it way in the back under the cowl near the firewall area next to the brake booster system. NO this is not my nice clean engine bay LOL. After barely reaching it I simply pulled the top hose off the throttle body. Then removed the unit itself from a small mounting bracket by pulling it forward towards the front of the vehicle. I was able to get the wire harness off with a screw driver moving over the red tab and squeezing it out. Then worked on the fuel hose quick connect thingie. Not sure what its called. Has a blue plastic tab just visible along the top. 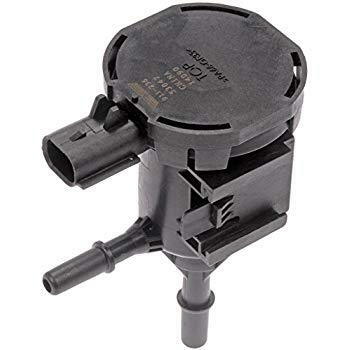 Pinched the plastic together and wiggled/pulled the part out (with the plastic tab sill attached to the part to be reused on the new purge valve pump / solenoid). Hooked up new one in reverse order. Will update if it actually helps anything. But I figured it was worth trying since it's so cheap. Last edited by themps; 03-06-2019 at 07:28 PM. Definitely keep us posted. Been thinking about swapping this myself. Can you access the charcoal canister/NVLD through the trunk on an '04 Sebring?